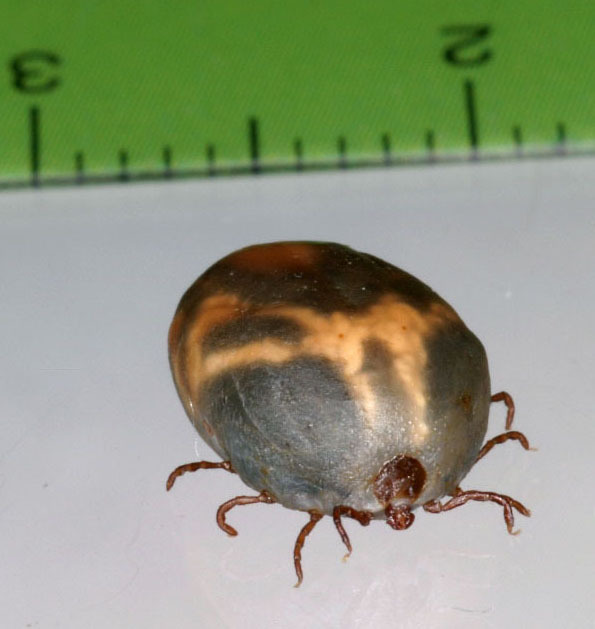 MIYAZAKI - A deadly tick got away Monday after being brought to a news conference held by the Miyazaki Prefectural Government to warn of a tick-borne disease, prompting the governor to apologize the next day. Prefectural government officials conducted a search for the arachnid with the help of reporters present at the news conference, but failed to find it, and sprayed insecticide, officials said. “We should have been more careful about safety management as the prefecture is in a position to alert its people,” Miyazaki Gov. Shunji Kono said at a regular news conference Tuesday. The prefecture held the news conference in the press room after several of its residents came down with thrombocytopenia syndrome, or SFTS, which the tick carries. The officials brought a live tick and a dead one for the media to photograph, but the live one disappeared when an official tried to pick it up with tweezers. The officials and reporters looked for the missing tick in vain. The officials sprayed insecticide in the room and disinfected the room that night, they said. 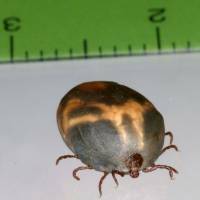 The Ehime Prefectural Government announced last month that a farmer in his 60s in the city of Shikokuchuo died of Japanese spotted fever after being bitten by a tick.